Few lives of writers of equal reputation have been exposed to our examination with the fulness and minuteness of the life of this most eloquent name in French literature. With the exception of the great Latin father, St. Augustine, no other leader of thought, in fact, has so entirely revealed to us his inner life, his faults and weaknesses (often sufficiently startling), no less than the estimable parts of his character, and we remain in doubt whether more to lament the infirmities or to admire the candour of the autobiographer. Jean Jacques Rouseau, son of a Genevan tradesman, had the misfortune to lose his mother at a very early age. It is to this want of maternal solicitude and fostering care that some of the errors in his after career may perhaps be traced. After a short experience of school discipline he was apprenticed to an engraver, whose coarse violence must injuriously have affected the nervous temperament of the sensitive child. Ill-treatment forced him to run away, and he found refuge with Mde. de Warens, a Swiss lady, a convert to Catholicism, who occupies a prominent place in the first period of his Confessions. Influenced by her kindness, and by the skilful arguments of his preceptors at the college at Turin, where she had placed him, the young Rouseau (like Bayle and Gibbon, before and after him, though from a different motive) abjured Protestantism, and, for the moment, accepted, or at least professed, the tenets of the old Orthodoxy. Dismissed from the college because he refused to take orders, he engaged himself as a domestic servant or valet. he did not long remain in this position, and he resought the protection of his friend Mde. de Warens at Chambéry. His connexion with his too indulgent patroness terminated in the year 1740. For some years after this his life was of a most erratic, and not always edifying kind. We find him employed in teaching at Lyons, and at another time acting as secretary to the French Embassy at Venice. In 1745 he came to Paris. There he earned a living by copying music. About this time he met with Therèse Levasseur, the daughter of his hostess, with whom he formed a lasting but unhappy connexion. It was in 1748, at the age of 36, that he made the acquaintance, at the house of Mde. d'Epinay, of the editors of the Encyclopédie, D'Alembert and Diderot, who engaged him to write articles on music and upon other subjects in that first of comprehensive dictionaries. His first independent appearance in literature was his essay on the question, "Whether the progress of science and of the arts has been favourable to the morals of mankind," in which paradoxically he maintains the negative. It was the eloquence, we must suppose, rather than the reasoning, which gained him the prize awarded by the Académie of Dijon. His next production - a more important one - was his Discours sur l'Inegalité parmi les Hommes ("Discourse upon Inequality amongst Men"). In this treatise - the prelude to his more developed Contrat Social - Rouseau affirms the paradox of the natural school, as it may be termed, which alleged the state of nature - the life of uncivilised man - to be the ideal condition of the species. His thesis that all men are born with equal rights takes a much more defensible position. In this discours diet is assigned its due importance in relation to the welfare of communities. The romance of Julie : ou la Nouvelle Héloise, which excited an unusual amount of interest, appeared in 1759. Emile : ou de l'Education was given to the world three years later. It is the most important of his writings. In the education of Emile, or Emilius, he propounds his ideas upon one of the most interesting subjects which can engage attention - the right training of the young. The earlier part of the book is almost altogether admirable and useful. The later portion is more open to criticism, although not upon the grounds upon which it was founded the hostility of the authorities of the day who unjustly condemned the book as irreligious and immoral. Rousseau begins with laying down the principles of a new and more rational method of rearing infants, agreeing, in many particulars, with the system of his predecessor, Locke. At least some of his protests against the unnatural treatment of children were not altogether in vain. Mothers in fashionable ranks of life began to recognise the mischief arising from the common practice of putting their infants out to nurse in place of suckling them themselves. They began also to abandon the absurd custom of confining other limbs in mummy-like bandages. Nor, though long in bearing adequate fruit, were his denounciations of the barbarous severity of parents and schoolmasters without some result. He insists upon the incalculable evils of inoculating the young, according to the almost universal custom, with superstitious beliefs and fancies which grow with the growth of the recipient until they become radically fixed in the mind as by a natural development. Most important of all his innovations in education, and certainly the most heretical, is his recommendation of a pure dietary. The publication of his treatises on education brought down a storm of persecution and opprobrium upon the author. The Contrat Social (in which he seemed to aim at subverting the political and social traditions, as he had in Emile the educational prejudices of the venerated Past) appearing soon afterwards added fuel to the flames. 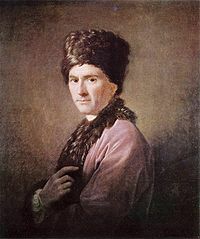 Rousseau found himself forced to flee from Paris, and he sought shelter in the territory of Geneva. But the authorities, unmindful of the old reputation of the land of freedom, refusing him an asylum, he proceeded to Nauchâtel, then under Prussian rule, where he was well received. From this retreat he replied to the attacks of the Archbishop of Paris, and addressed a letter to the magistrates of Geneva renouncing his citizenship. He also published Letters Written from the Mountain, severely criticising the civil and church government of his native canon. These acts did not tend to concilliate the goodwill of the rulers of the people with whom he had taken refuge. At this moment an object of dislike to all the Continental sovereign powers, he gladly embraced the offer of David Hume to find him an asylum in England. The social and political revolutionist arrived in London in 1766, and took up his residence in a village in Derbyshire. He did not remain long in this country, his irritable temperament inducing him too hastily to suspect the sincerity of the friendship of his host. The next eight years of his life were passed in comparative obscurity, and in migrating from one place to another in the neighbourhood of Paris. In his solitude gardening and botanising occupied a large part of his leisure hours. It was at this period he made the acquaintance of Bernadin St. Pierre, his enthusiastic disciple, and immortalised as the author of Paul et Virginie. His end came suddenly. He had been settled only a few months in a cottage given him by one of his numerous aristocratic friends and admirers, when one morning feeling unwell, he requested his wife to open the window that he "might once more look on the lovely verdure of the fields," and as he was expressing his delight at the exquisite beauty of the scene and of the skies he fell forward and instantly breathed his last. At his special request his place of burial was chosen on an island in a lake in the Park of Ermondville, a fitting resting-place for one of the most eloquent of the high priests of Nature. His character (as we have already remarked) is revealed in his Confessions - which was written, in part, during his brief exile in England. It, as well as his other productions, shews him to us as a man of extraordinary sensibility, which, in regard to himself, occasionally degenerated into a sort of disease or, in popular language, morbidness (a word, by the way, constantly abused by the many who seem to excuse their own sensibility to surrounding evils by stigmatising with that vague expression the acuter feeling of the few), which sometimes assumed the appearance of partial unsoundness of mind. This it was that caused him to suspect and quarrel with his best friends, and which, we may suppose, led him, in his minute dissection of himself, to exaggerate his real moral infirmities. In summing up his personal character we shall perhaps impartially judge him to have been, on the whole, amiable rather than admirable, of good impulses, and of a naturally humane disposition, cultivated by reading and reflection, but to have been wanting in firmness of mind and in that virtue so much esteemed in the school of Pythagoras - self control. His philosophy is distinguished rather by refinement than by vigour or depth of thought. "One of the proofs that the taste of flesh is not natural to man is the indifference which children exhibit for that sort of meat, and the preference they all give to vegetable foods, such as milk-porridge, pastry, fruits, &c. It is of the last importance not to denaturalise them of this primitive taste (de ne pas dénaturer ce goût primitif), and not to render them carnivorous, if not for health reasons, at least for the sake of their character. For, however the experience may be explained, it is certain that great eaters of flesh are, in general, more cruel and ferocious than other men. This observation is true of all places and of all times. English coarseness is well known (1). The Gaures, on the contrary, are the gentlest of men. All savages are cruel, and it is not their morals that urge them to be so; this cruelty proceeds from their food. They go to war as to the chase, and treat men as they do bears. Even in England the butchers are not received as legal witnesses any more than surgeons (2). Great criminals harden themselves to murder by drinking blood (3). Homer represents the Cyclopes, who were flesh-eaters, as frightful men, and the Lotophagi [lotus-eatersj as a people so amiable that as soon as one had any dealings with them, one straightway forgot everything, and one's country, to live with them." Rousseau adds in a note: "I know that the English boast loudly of their humanity and of the good disposition of their nation, which they term 'good nature' but it is in vain for them to proclaim this far and wide. Nobody repeats it after them." Gibbon, in the well-known passage in his xxvith chapter, in which he speculates upon the influence of flesh-eating in regard to the savage habits of the Tartar tribes, quoting this remark of Rouseau, in his ironical way, says : "Whatever we may think of the general observation we shall not easily allow the truth of his example." - Decline and Fall of the Roman Empire, xxvi. He corrects this mistake in a note: "One of my English translators has pointed out this error, and both [of my translators] have rectified it. Butchers and surgeons are received as witnesses, but the former are not admitted as jurymen or peers in criminal trials, while surgeons are so." Even this amended statement needs revision. How the French apostle of humanitarianism and refinement of manners, if he were living, would regard the recently reported practice of French and other physicians of sending their patients to the slaughter-houses to drink the blood of the newly slaughtered oxen may be more easily imagined than expressed. Rather carnes consumers nati - "born simply to devour." - See Hor., Ep. I., 2. Emile ; ou de l'Education, II. Julie IV., Lettre 10. See also her protests against shooting and fishing. Confessions. One of his friends, Dussault, surprised him, it seems, on one occasion eating a "cutlet." Rouseau, conscious of the betrayal of his principles, "blushed up to the whites of his eyes." (see Gleize's Thalysie) In truth, as we have already observed, his principles on the subject of dietetics, as on some other matters, were better than his practice. His sensibility was always greater than his strength of mind.